Product Details: Type	Control Panel Usage	PLC Automation Phase	Three Phase We are the leading organization to provide our precious clients an optimum quality PLC Automation Control Panel. The offered control panel is manufactured using optimal quality component and ultra-modern technology under the guidance of our skilled professionals. Our provided control panel is applauded for its easy installation. 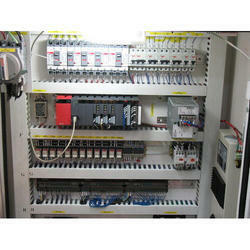 Provided control panel is checked by our quality experts before delivering it to the door steps of our clients.